Of course I love this. Of course. I think he has toned down his designs a bit, some of these looks are really just chic and very wearable. I read that he was inspired by art deco, and I'm amazed cause when I knew that I could see the influence, but I would never have guessed when I first saw the collection. And that's pretty genius of Gareth Pugh I think, he can take an inspiration source and do something completely new with it. Season after season this guy delivers incredible collcetions. 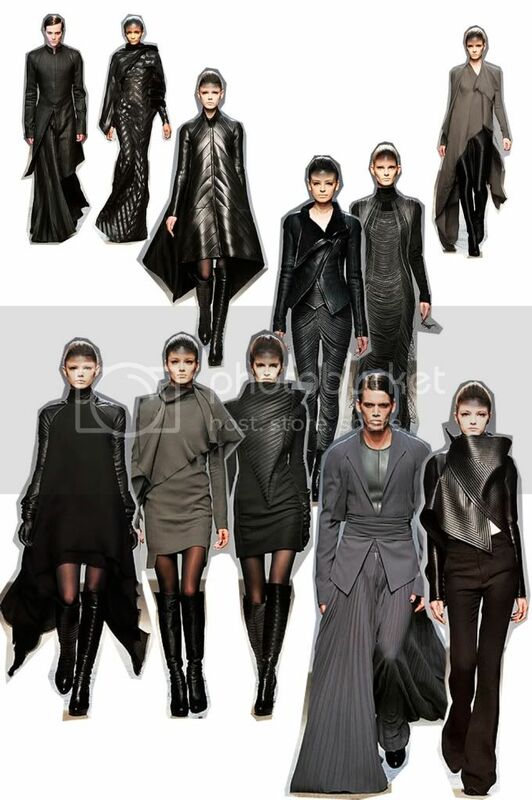 Gareth Pugh is at least one of my favourite top 3 designers. can we say... TEXTURE??? damn, he's good. ps. take a second to visit my new blog!